You know the old saying, “It is better to give than receive.” For many families the best gifts they can give is the gift of themselves . . . through volunteering. Expose your children to various volunteering opportunities then ask them, ‘What would you like to do?’ Give them resources, then empower them to do it. If your daughter has a lot of energy, or your son enjoys cooking, suggest an activity to match like mowing a neighbors lawn or making cookies for the family next door. “Through volunteer work, families spend quality time together, help others, have fun, communicate and develop family self-esteem,” says Lori Goudreau, manager of the Family Service Program. “Parents can reinforce family values, and kids can share their time and talents, and even acquire new skills.” A lot of what your kids can learn to do will take instruction time from you. All of that is time well spent together. “Kids are more likely to stick with an avenue of service if they volunteer beside a parent or grandparent,” my friend Jan Johnson reminded me. Volunteering within the context of their family gives kids the security they need to reach out to others. Who will we report to? Why is our role important? Knowing what to expect ahead of time will help children approach their tasks with confidence. Kids love to know when they’ve done a good job. After volunteering, talk to your child about the experience. Let her know how it makes you feel to see her acting in such a mature and giving nature. It will be just the thing that will make your child want to do it again. 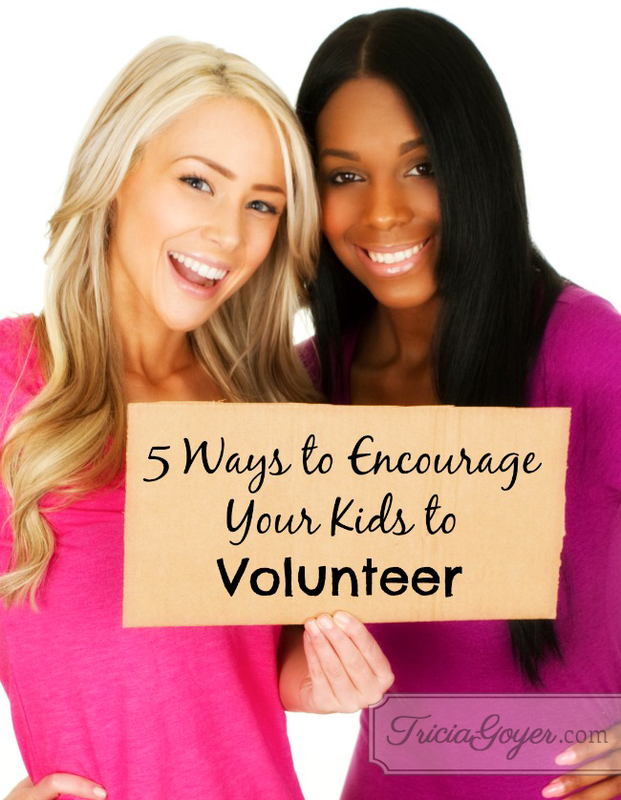 I have discovered with my own kids that volunteering helped them establish their identity. When my daughter Leslie was 10-years-old, she used to baby-sit at our local crisis pregnancy center. In return, she discovered that her caring attitude and helping heart was valuable to many young moms in need. It’s a discovery that has impacted her as she’s grown into a young adult. And what mom doesn’t want that for her kids? The same spirit that inspired President Kennedy to create the Peace Corps on a national level can be a very real part of the lives of you and your children, and a blessing on a smaller scale, in your neighborhood which will be just as important a contribution. Thank you for the blessings you have provided for my family and may we not take them for granted. Encourage and guide us to use the resources you’ve given us to help others in need. May I be a good example for my children and instill in them a servant’s heart. I also pray for the families we encounter, for their hurts and worries – let us be a testimony to your goodness and providence.